Like pretty much everything else you touch these days, the Ninja will need to be updated from time to time. We have tried to make this as painless of a process as possible. To update the Ninja's software it will need to be near a strong WiFi signal since it will be downloading its update and installing it itself.  To trigger an update, the user will need to put two plain text files on an MS-DOS formatted SD card and insert it into the Ninja before start up. These files will tell the Ninja how to connect to the internet and what to download once it is connected. Create a plain text file with the name it "wifi.txt" in using Notepad or TextEdit (or whatever else if you know what you are doing). The first line of the file should have your WiFi access point's SSID and the second line should have the password. This information is not transmitted in any way and is only used to connect for software updates.  Drones Made Easy staff will give you a link to the update. Place this link in a plain text file just like you did for the wifi.txt file. Once the update is complete, this file will be modified to show the text "OK" at the end. The SD card should be formatted as MS-DOS and all files should be saved as Plain Text (UTF-8). The Ninja status LED will show blue when it is connected to the internet. The blue LED will blink when the download and update are occurring. Once everything is updated and the software is up and running the normal green status LED will show. IMPORTANT: Make sure you remove the SD card before flight.